Once upon a time, long before we moved to Maydelle, there sat a house near our chicken pen. The house is no longer there but we still find things left behind. Addie found this yesterday……. 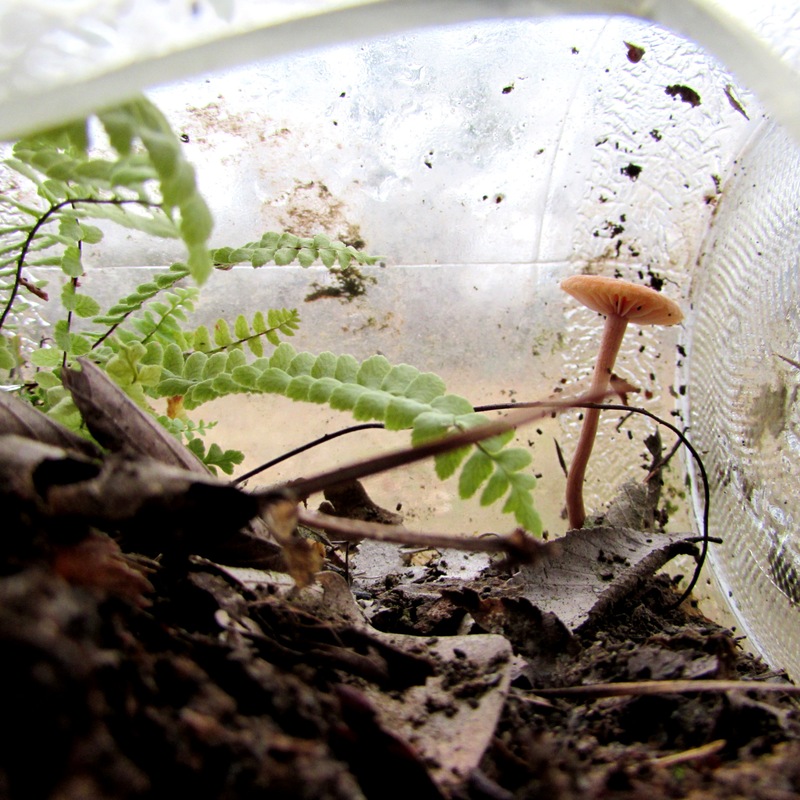 I couldn’t grow a fern and mushroom in a glass jar if I tried. And they just did it themselves! I thought it was perfectly awesome. Life finds a way. How beautiful! that IS awesome! 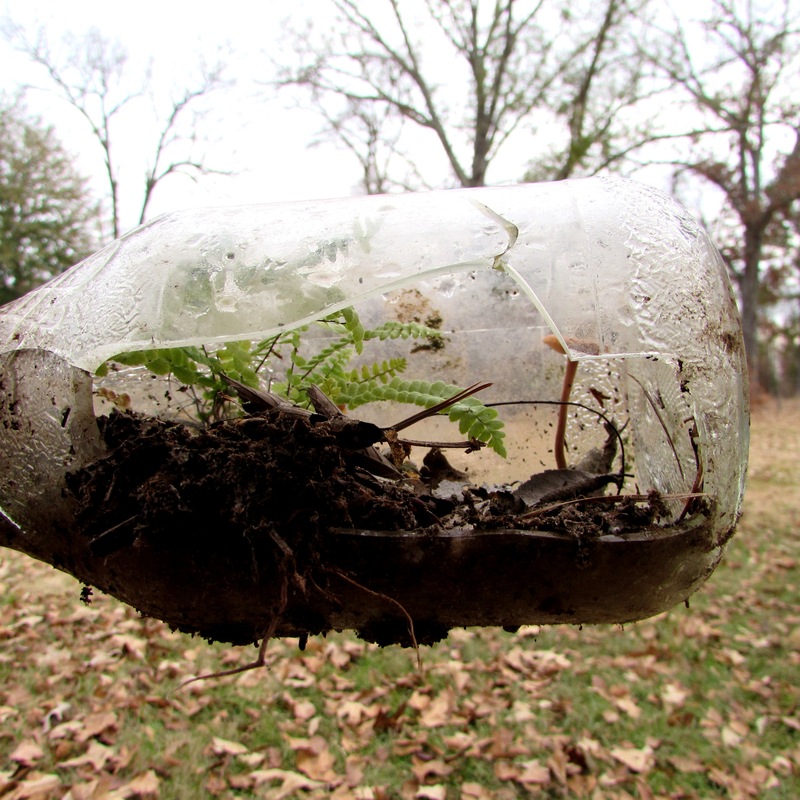 I found a bottle up in our woods about 5 years ago and it had some ferns it in. It survived for years before it finally died. I say stick it in a shaded place and hang onto it. What a beautiful arrangement! Our creator succeeds where we are destined to fail… haha! Gorgeous little fine – a proper treasure!